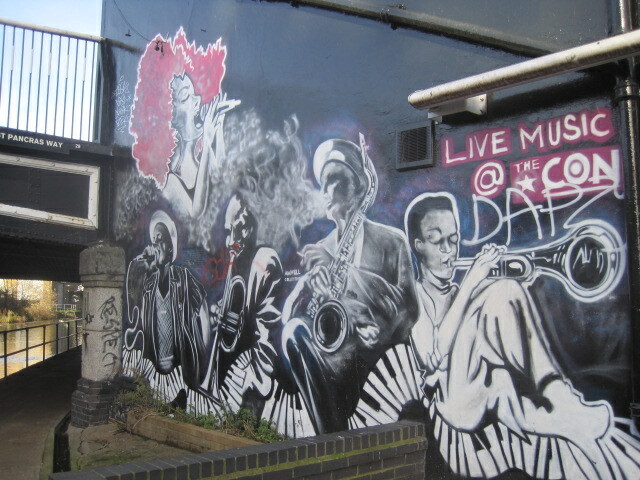 Jo’s Monday walk : to Camden and beyond! Isn’t this a heart warming sight? I don’t know if any of you have been watching ‘Great Canal Journeys’, presented by Timothy West and Prunella Scales? I have a real fondness for this couple and the way in which they are dealing with advancing years and health issues. For me, they are fulfilling a dream that I’ve always had, to take to a boat and putter away my days. As near as I’ve come is the towpath so far, unless you count a long ago week in a narrowboat in a permanent mooring at Reading! 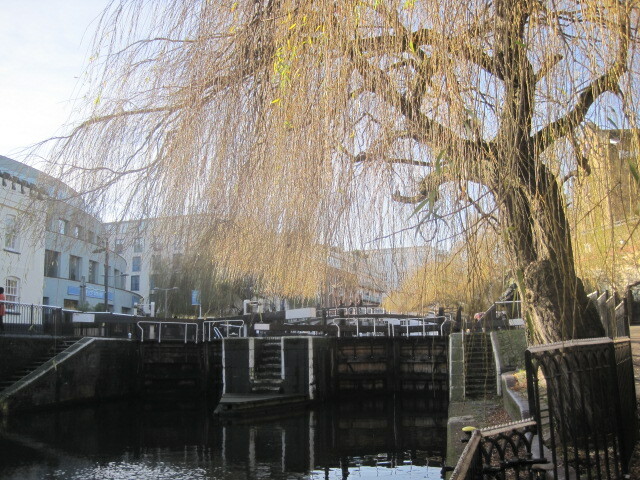 It was pure coincidence that last week’s episode featured Regent’s Canal, because that is precisely where I had planned on taking you. Sadly for all of us, we’re on foot! Still, as a bonus we can pick up a book before we start, and keep a lookout for a sunny bench. 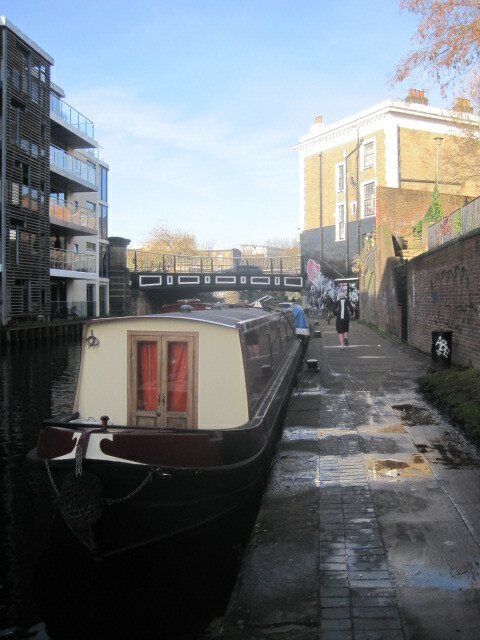 I begin my journey along the canal behind King’s Cross railway station. 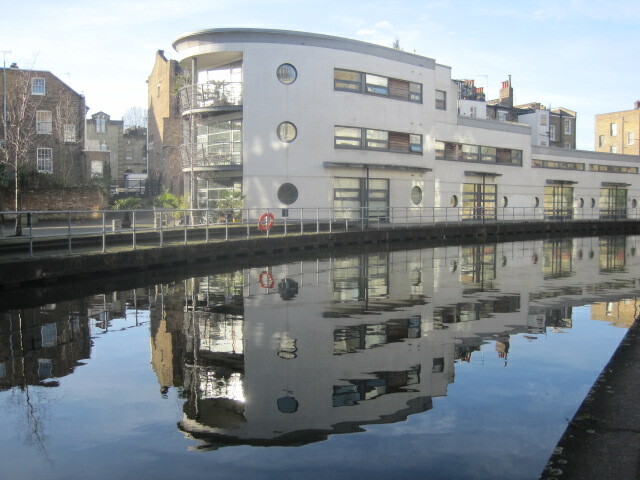 With time to spare you could pop into the London Canal Museum, but I need to be in Camden Town by 11.00, so it’s best foot forward. Goodbye bookshop! Nice meeting you. The boardwalk looks brand new! Is that the Camley St. Visitor Centre? But there’s no escaping graffiti! I think I’ll have to split this walk into two halves. 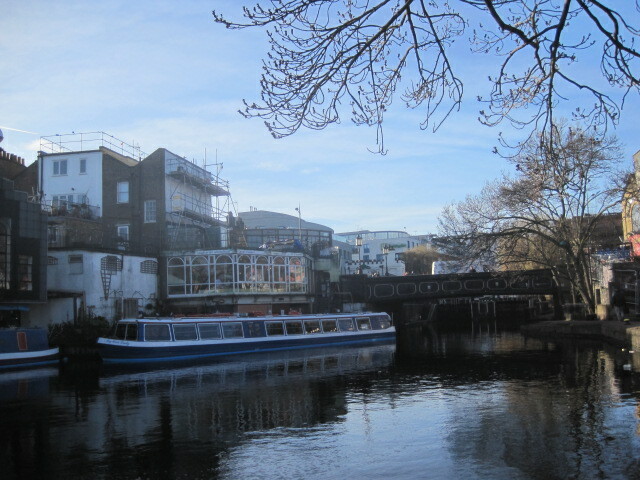 My eventual destination along the towpath is Little Venice, but in Camden Town I take a small detour to join Judith from London Walks. 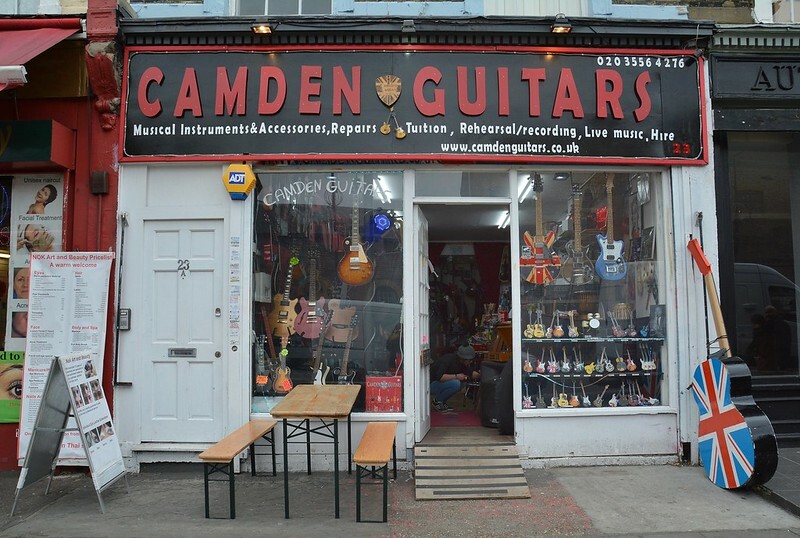 A guided tour of ‘Old Camden Town’ sounded irresistible to me, and so it proved. Judith, a local artist with a twinkle in her eye, regaled us with stories of characters as diverse as Dickens, Amy Winehouse, George Bernard Shaw and Dylan Thomas. Better yet, she showed me a London that, in all my years of first living there and then return visits to the capital, I had never managed to find for myself. Now that’s what I call a good walk leader! If given the opportunity, do join her. You won’t regret it. There can be very few high streets that look like this! 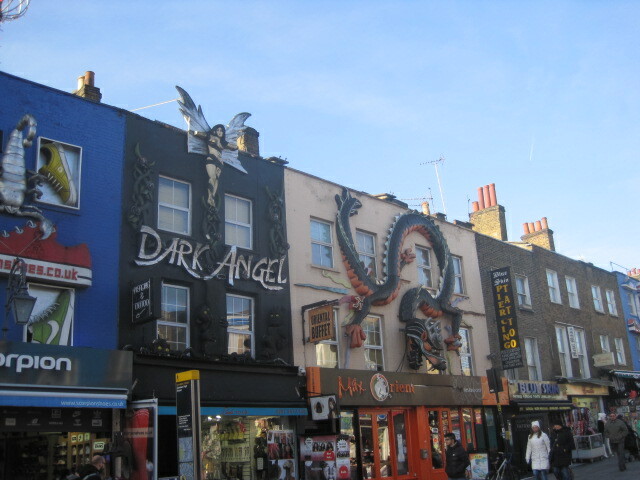 I’ve been to Camden Town several times and it’s a favourite of my daughter. The mix of quirky shops, outrageous clothing and sparkly things is a magnet to her magpie nature. It was just 11.00 when I arrived and anxiously scanned the High St., looking for Judith in the Saturday morning swell. As promised, she was outside the Metro Station entrance, cheerfully rounding up her flock. 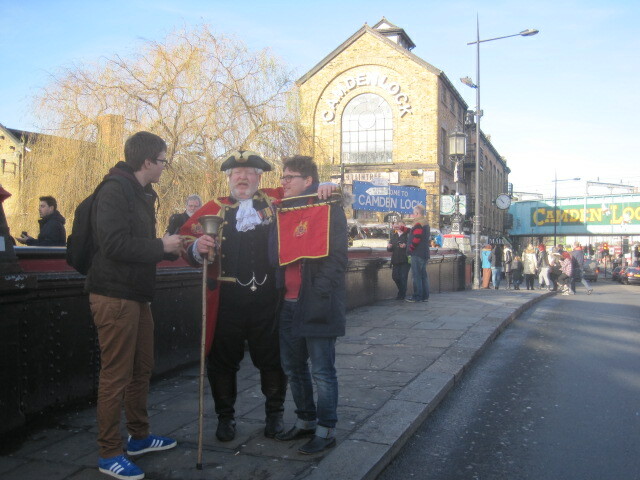 Introductions made, we were off at a brisk pace, on our 2 hour Camden tour. 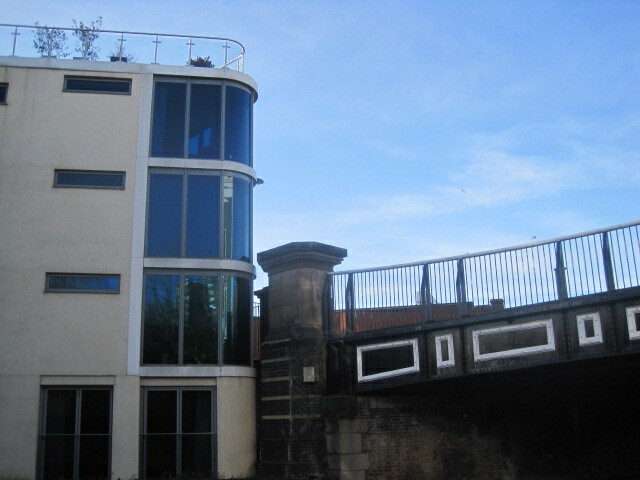 The station. There’s a history to the windows. 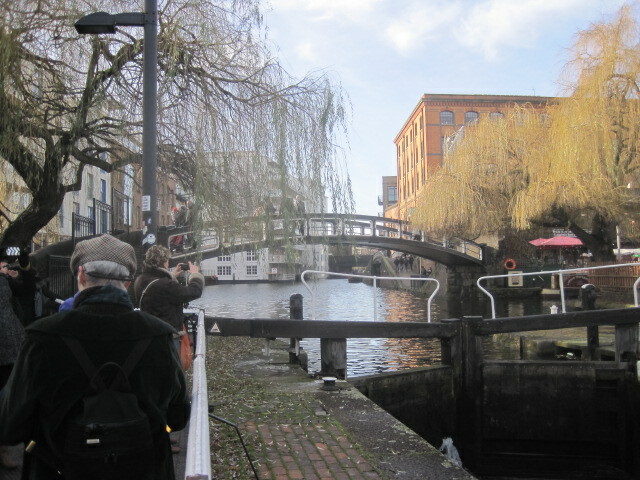 We head back towards the canal and cross over Hampstead Road Lock- arguably the most picturesque lock on the canal- about to delve into Camden Market. And I think that is a good place to leave her. I hope that you’ll come back next week, when we’ll explore the incredible Stables, and I’ll continue on along the Regent’s Canal. Many thanks to Jude for reminding me about ‘Take a walk in the park day’, which just happens to be today. I’ve linked back to Ailsa’s Outdoors. 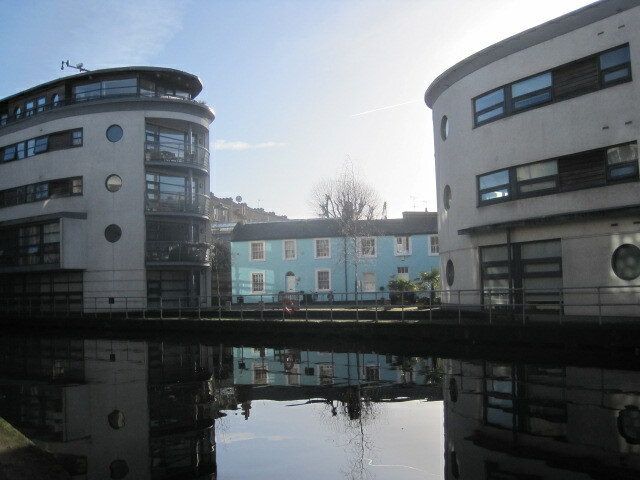 What could be more outdoors than the canals? Time to look at my contributors and to say a big thank you for their kindness in joining me. Details of how to join in are on my Jo’s Monday walks page, or simply click on the logo above. All you need right now are a cuppa and a comfy seat. Debbie first this week! 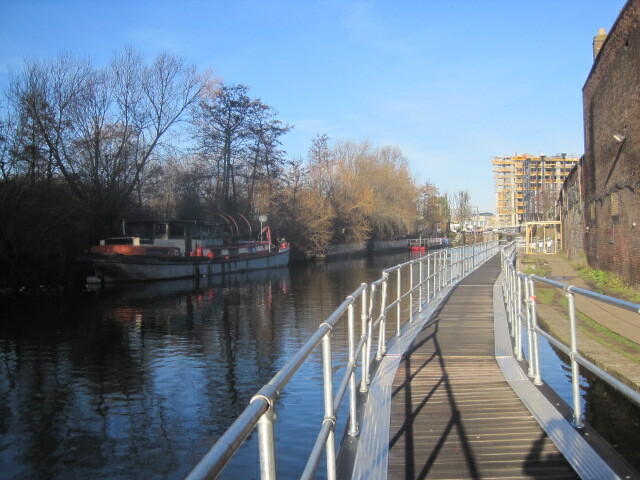 A boardwalk and boats are just my style. Thanks, Debs! Amy has some more of her beautiful captures, and guess what? It’s Spring! Can you find a dog on Meg’s post this week? Meanwhile, Esther has a tempting proposition? Drake gives us a glimpse of summer time in Denmark. It’s beautiful! Next a delightful surprise from Cloud of Lace in Lebanon. Byblos is almost as beautiful as her blog. Please go and say ‘hi!’ to Hiba. Tobias uses light and shade brilliantly. Take a look! Hooray!!! Jude’s back! I know you’ll have missed her walks. I did! It will be Easter Monday next week. I’ll still be hosting my walk, and if the weather cooperates I’m hoping lots of you will be out there walking too. Whatever happens, I wish you all a very happy Easter holiday. 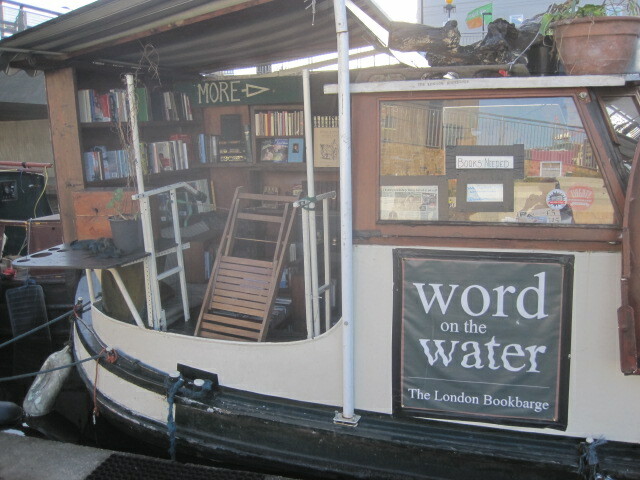 I love everything about the book barge, the name, the tag line…everything! It’s inspiring to learn about people who live their dreams, especially if their dream is out of the ordinary. Great walk -thanks! Narrated walking tours by someone knowledgable of the area are my favourites too. Thanks for the tour of Camden, Jo. 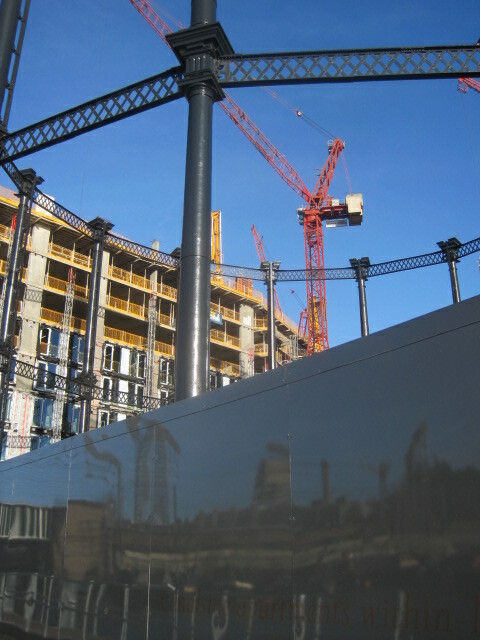 The reflection shots are cool as well as the graffiti. Thanks, Jake 🙂 You’ve brightened my Saturday! Love the exciting walk. Full of adventures and discoveries. Thanks Jo. God bless. Happy Easter to you, Mr. B! 🙂 🙂 Hope you have some beautiful family time. I enjoyed that walk, thank you – once again I have been taken to places I haven’t been to before. I’ve watched some of the ‘Great Canal Journeys’ programmes and happened to see a bit of this one. Could be another entry for ‘Reflections’, couldn’t it, Yvette? I thought that as I was writing the post 🙂 And it’s never hard to find something beguiling in London. Many thanks, hon, and Happy Easter! Thanks, Suze 🙂 Got an Easter plan? Maybe just a relax would be good? Wonderful Jo, thanks for sharing as always. Must visit that bookshop one day. 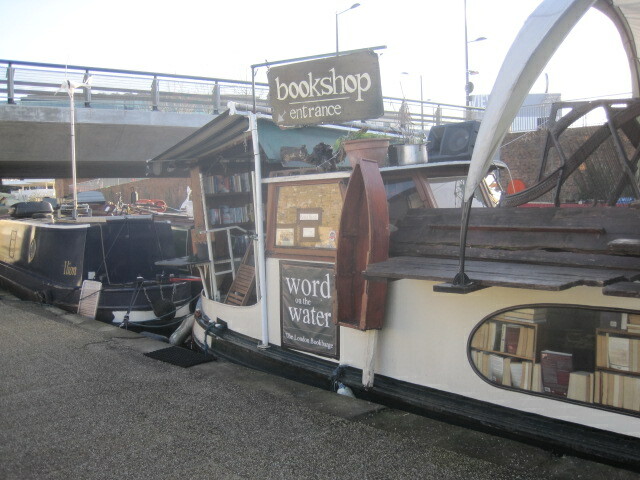 Have you read the book about another floating bookshop – The Bookshop that Floated Away. Hi Becky 🙂 I have to say that I haven’t read it 😦 Wouldn’t mind to be back there this weekend. Happy Easter to you! Thank you for this. I have never seen this part of London. I am going to be there for a few days in July, so this has inspired me to search out this part of town. yes, well London in general seems very busy after life in Bali! 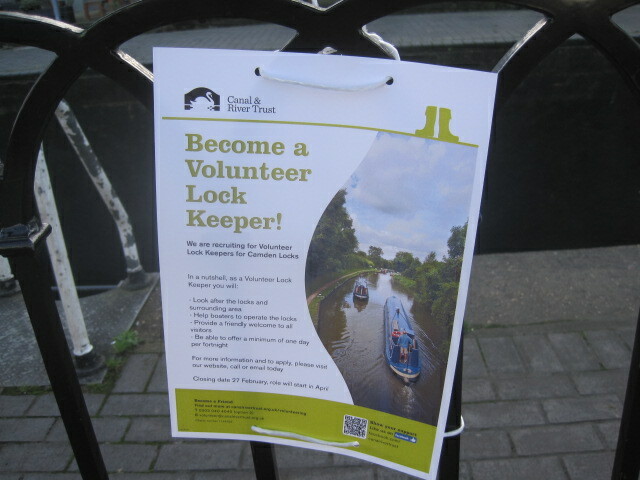 I agree with you that I’d love to be a volunteer lock keeper! A cool gig. Everything is so colorful. It’s like walking through an endless Monet painting. I sometimes worry that I’ll run out, Sam, but there’s no immediate danger. 🙂 Thanks a lot! I love your company. 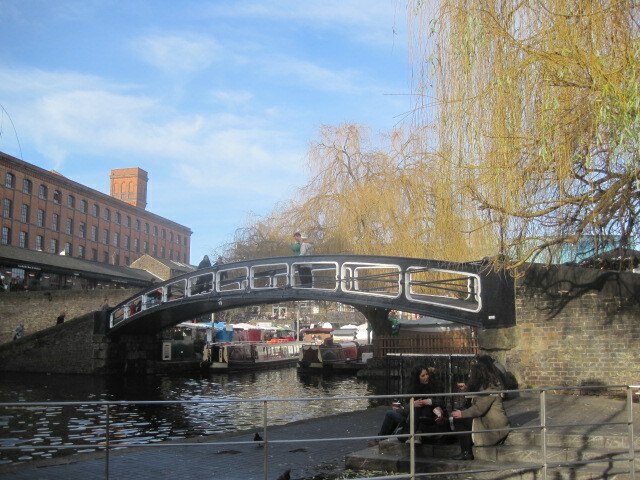 Super pictures of the canal and just love the Book Barge ! I know now why 🙂 The new site is beyond gorgeous, Poppy, but there’s nowhere to comment and tell you how spellbinding your photos are. We will visit each other when we can, Jo. Know that I appreciate your blog. I rarely travel these days, and your posts help me to do so vicariously.